We develop new policy ideas, challenge the media to cover the issues that truly matter, and shape the national debate. With policy teams in major issue areas, CAP can think creatively at the cross-section of traditional boundaries to develop ideas for policymakers that lead to real change. By employing an extensive communications and outreach effort that we adapt to a rapidly changing media landscape, we move our ideas aggressively in the national policy debate. 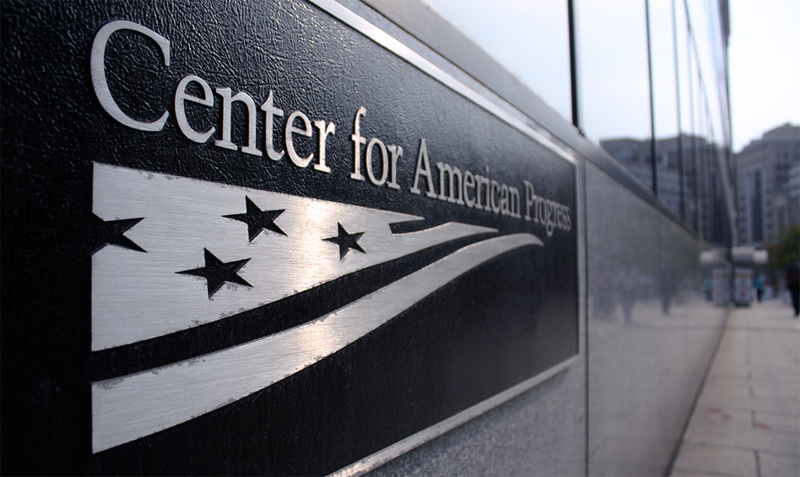 Stay informed by visiting the Center for American Progress, attending public events, and subscribing to news alerts and newsletters. To be progressive is to be active. Spread ideas to your networks. Challenge conservative misinformation with the facts. Engage with urgent issues through our numerous projects, including Generation Progress. Apply to join our staff: We are always looking for bright, passionate thinkers! Without your generous support, we cannot do this important work. Please donate. The Center for American Progress is an independent nonpartisan educational institute under section 501(c)(3) of the Internal Revenue code. Donations are tax deductible. CAP does not support or oppose candidates or political parties.